I have finaly been contacted. After all they put me through and the waiting and the empty promises, they want me to pay a cancellation fee. which is incidentally more than the montly premiums added up of the remainder of my contract??? I thought i would use my right to complain today. Saya Recoveries are collecting obo Planet Fitness. Since Saya first started sms’ing me to say my Planet Fitness account has been handed over to them, I contacted Planet Fitness directly to find out what is going on as I cancelled my subscription about a year ago. I called the Roodepoort Club on Thursday last week (22 March) and spoke to a lady Mpho. I am trying to cancel my subscription, but she could not even find me on the system. Thank you for bringing this to our attention. Please can you supply me with either a surname or better still an ID so that we can investigate this matter further. 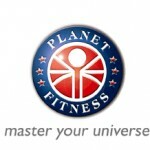 My direct email address is jane.young@planetfitness.co.za. I took out a Gym memebership with planet fitness some 4 years ago, paid them upfront. now all of a sudden Saya recoveries calls to tell me that I owe them money. I never even utilised the gym memebership, if I went to the gym more than 20 times in the three year membership it would be too too much.